Dr. Liu received her BA degree from the Peking University Health Science Center in 1982. 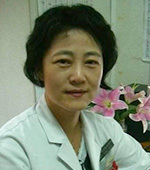 Dr. Liu completed her MD degree at Digestive Disease Research Center of the Peking University Health Science Center in 1990, received her PhD degree at Kyushu University in Japan in 1995. Dr. Liu was a Visiting Scholar at the Division of Geriatric Medicine and Gerontology at Johns Hopkins University School of Medicine from April to July 2011. Dr. Liu is Secretary of the Committee of the Chinese Society for Geriatrics Beijing Branch. She is also a member of the American Geriatrics Society.